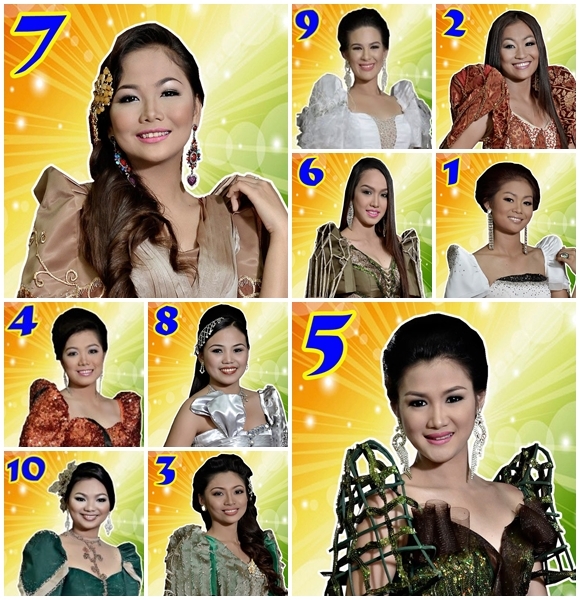 In the pageant night of the search for Lakambini ng Koronadal 2013 held January 5, 2013 at the South Cotabato Gymnasium and Cultural Center, sixteen (16) years old Kaye Krizette Ocampo bested other nine (9) lovely and young Koronadaleñas who competed in this year's search and was crowned Lakambini ng Koronadal 2013. 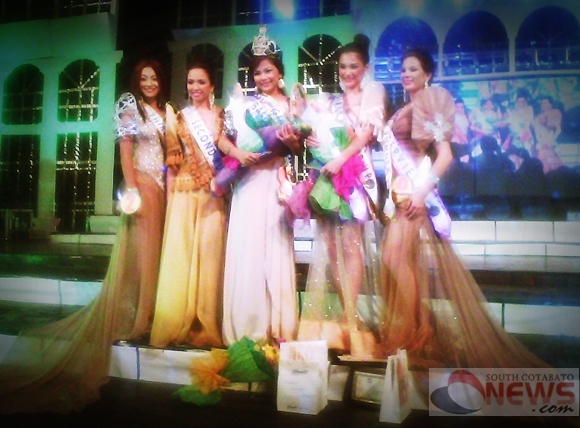 Kaye Krizette is now the new Ambassador of Goodwill for the City of Koronadal and will represent the more or less 170,000 Koronadaleños in the search for Mutya ng South Cotabato 2013 this July. Below are the rest of the winners. The Lakambini ng Koronadal pageant is only one of the many events and activities prepared for by LGU-Koronadal in the celebration of the 13th Hinugyaw Festival and the 73rd Foundation Anniversary of the City of Koronadal.